Hurrah! I finally received a phone call from Apple today, letting me know that I could pick up my computer. I went to the store right after I received the call and, at long last, I am reunited with my Mac! I am so angry with Apple at this point – just about 10 days to get the computer back to me after they promised it would only be 3 – 5 days. I learned a big lesson – I hope I never have to deal with that company again! I have missed all of you and am so happy to resume blogging. While my computer was sick, I received the following message from my dear friend, Dee Dee. 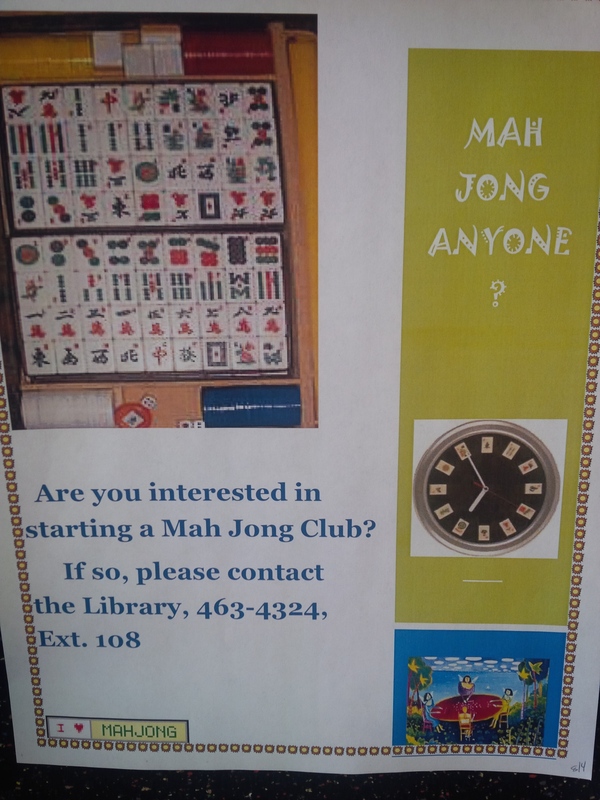 It would appear that Mah Jongg is popular even in the farm country of Southwest Virginia! This entry was posted in Mah Jongg and Me and tagged Apple, blog, computer, farm country, Mac, mah jongg, Southwest Virginia on September 6, 2014 by Mah Jongg and Me. Glad you’re back. Have been using Apple for many, many years and have never had the delay in getting my computer back. In fact, last time was told 3-5 days and it was actually ready the next day. Perhaps you can find another Mac Superstore or Mac facility in case you have another problem. Don’t give up on Apple….they’re great! Anyway, looking forward to your delightful blog. I’m so happy to see you are Back! Welcome back Ann – I missed reading about you and mah jongg happenings . You have become one of my favorite indulgences. Give Apple another chance – at another location. Apple is definitely a superior product compared to other computers. Carol – what a nice message – you just made my day! So happy to be back and hearing from all my blogging friends. And, as I said to Boots, I think my mistake was not going back to my usual Apple store. That 5th Avenue location is a nightmare. I will make sure that I only go back to the UWS store going forward (although I did hear that the Grand Central Station store is a good one).